Wines from Spain are some of the most popular and highly regarded in the world. And southern Spain has no shortage of them! Spain is the 3rd largest producer of wine in Europe. 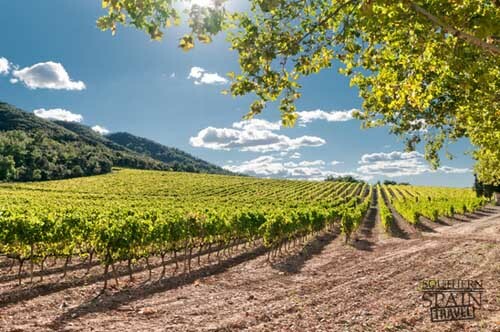 It is not because Spain has not produced wine on a mass production like other countries and its hot dry climate means that they have to spread plants further apart to ensure they get enough water. Spanish wines are broken down into 55 regions or denominacion de origen. Another way Spanish wines are classified is by age. There are young wines or “joven” usually served a year after harvest. Crianza is aged for at least 2 years and some of that time in an oak barrel. Reserva ages for 3 years and some of that time has to be in an Oak barrel. Gran Reserva ages for 5 years. These classifications are for reds, similar but slightly shorter for whites, and not applied to Sherries as they are aged differently. While Spain’s grape variations may not be as wide as other countries it still manages to produce some of the world’s best wine. Spain has numerous regions of wines but I am only going over the two most popular- Rioja and Jerez. Rioja wine by far is the best known Spanish wine and until recently considered the only Spanish wine worthy of international recognition. Rioja are wines from Spain that are located in the Rioja region of Spain. This is in the north part of Spain on either side of the Ebro River. There are approximately 1200 vineyards in the Rioja region. The Rioja region is broken into three categories: Rioja Baja, Rioja Alta, and Rioja Alavesa. Rioja Alavesa is affected by the Atlantic weather, its dry soil and the small growing area (often on terraces). Rioja Alta, as the name suggests, is located in the higher elevations of the western Rioja region. This higher elevation equates to colder weather, shorter growing season, and less then ripe grapes, which all equals a less full bodied red wine. Rioja Baja, located in the lower elevation of the Rioja region is warmer than the other two regions creating a distinguished wine that is much darker in color and higher in alcohol content. Jerez has great wines from Spain and is located in southern Spain, mainly in area of Jerez de la Frontera. Wine making in this region has been around for a very long time dating back to the Phoenicians continuing through the Roman era, set back slightly by the invasion of the Moors, and revitalized after Francis Drake sacked Cadiz and stole over one thousand barrels of Sherry popularizing the wine among the British. Later British merchants returned to start some of the most popular wine families in Spain, which now make up the best wines from Spain. 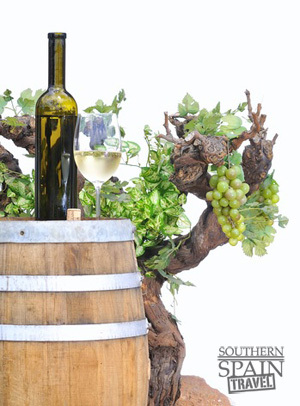 Jerez or “Sherry” in English is made from the Palomino grapes and is aged entirely different then the Rioja wines. It is aged through a system called Solera, this system of aging incorporates several barrels of wine that are never entirely drained and are continuously added to at certain timed intervals. This style of aging allows portions of the wine to be as old as one hundred plus years. There are several varieties of Sherry from this region that differ slightly from flavor, color, and technique. Sherry is much stronger than typical wine so one glass goes a long way. Fino – My absolute favorite of wines from Spain and it's the driest of the sherries. It has a shorter aging cycle in the solera system which makes it a paler wine. It is typically served before a meal but who follows tradition- enjoy it any time you like. 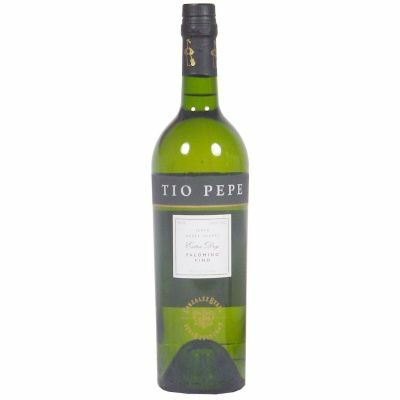 One of my favorite finos, Tio Pepe, is dry but a little sweet too. It has a distinct smell from other wine and a flavor of raisons and almonds. I recommend you try it and if you can, visit the Tio Pepe winery in Jerez de la frontera. Manzanilla – Also a dry sherry, slightly different from fino mainly due to the area it is grown in- Sanlúcar de Barrameda. It is slightly cooler in this area giving the grapes a slightly different color and taste. Like fino, manzanilla should be served chilled. Amontillado – Darker than a fino by a little bit, amontillado is the most distinguished from a fino by being exposed to the air than being fortified giving it a powerful kick of 17 % alcohol. This too is better served chilled and holds up better for those not interested in consuming an entire bottle at a time. Oloroso – The darkest of the sherries and aged the longest this sherry is still dry but a tinge sweeter. The technique used to make oloroso leads it to have the highest alcohol content of all the sherries at 18 to 20 percent. Also served chilled, oloroso holds up extremely well after opening and is frequently served as a desert wine. Palo Cortado – This wine from Spain starts its life as a fino or an amontillado and only becomes a palo cortado when the flor is killed off usually through filtration, fortification, or naturally. Palo Cortado may also be cut with other wines if its overseer feels it necessary to help develop the wine. The wines are Spain are fantastic, award winning and worth experiencing. If you are traveling to Spain, be sure to visit at least one bodega. We recommend trying the wines from spain you’ll find in the bodegas located in Jerez de la Frontera. Tio Pepe Palomino Fino is a crisp, dry, white sherry that is sure to please. Produced by the Gonzalez Byass winery in the town of Jerez de La Frontera, it's one of their most popular offerings.